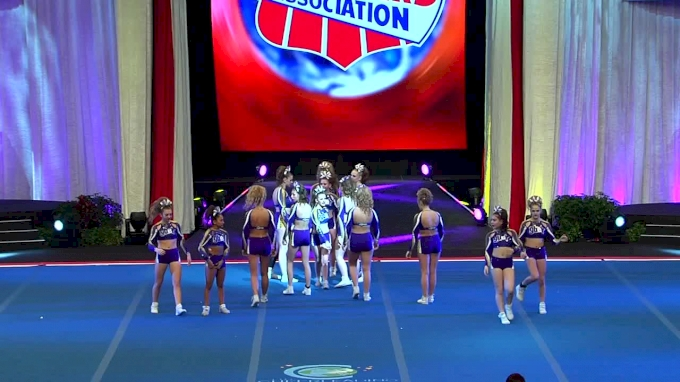 Last year, The Cheerleading Worlds introduced the new XSmall divisions. A total of 24 teams took on the new division and ten of those teams made it to Finals. These teams were required to be from a D2 gym and it also had to be their only Worlds team. It was an exciting year debuting the newest division at the biggest competition of the year and we can't wait to see what teams have in store for this season! Cheer Express Allstars Miss Silver claimed the first ever Senior XSmall Worlds title! The team opened up with beautiful tumbling and showcased strong stunting throughout the routine. 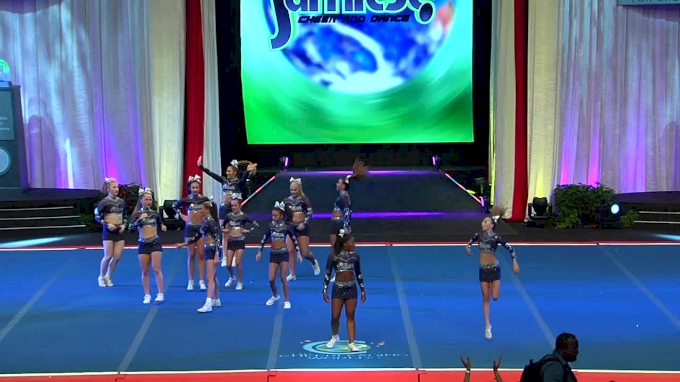 Miss Silver showed the crowd they had what it took and came out on top! Will they go back-to-back or will there be a new champion crowned? Check out their Worlds winning routine from 2018! Green Bay Elite All Stars Lime took home the Silver Medal in 2018 and wow’d the audience with their unique transitions and incredible energy! Who will crack the top three this year? Take a look at Lime’s Worlds routine from last season! Elite Cheer Stars took the mat with confidence that sent them into the top three in the Senior XSmall division! The team put on a show that was full of entertaining choreography and difficult skills. View their Bronze winning routine from 2018! Here’s a look back at some of the winners from the Level 5 Senior XSmall division from some of this season's major events! Will these teams medal at The Cheerleading Worlds 2019? We can’t wait to watch these incredible teams take the Worlds mat! Valley Elite All Stars BIG RED topped the reigning World Champions at CHEERSPORT Nationals after performing an incredibly entertaining routine! The team began with a strong opening and carried their energy throughout the whole routine. Cheer Express Allstars Miss Silver came in second behind BIG RED with Pennsylvania Elite Cheerleading Guardians in third. Central Jersey All Stars Bombshells is taking on the Senior XSmall division for the first time and so far, this season they have been incredible! The team put on a phenomenal routine at NCA All-Star Nationals followed by World Elite Crave in second and The California All Stars Mesa Vixens taking third. Your reigning World Champions from 2019 took home the top spot at the UCA International All-Star Championship! Does this mean there could be a potential repeat in the Senior XSmall division in 2019? Step One All Stars North Phenom came in second with Indiana Elite Black Reign behind them in third.